TOLEDO, Ohio, January 11, 2018 – SSOE Group (www.ssoe.com), a global project delivery firm for architecture, engineering, and construction management, announced today that seven of its employees earned a professional registration and four employees earned professional certifications during the first quarter of SSOE’s 2018 planning year. Attainment of professional licensures and certifications is strongly encouraged at SSOE. In fact, the company covers the expense of preparation classes and exam fees as well as provides paid time off to take the exam. 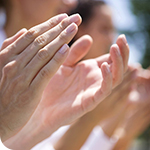 As an added incentive, once an employee has passed an exam, they are awarded a recognition bonus. To become a professional engineer (PE), an individual must meet statutory requirements, including completion of a 4-year college degree and a minimum of 4 years of acceptable work experience. Licensure is awarded upon successful completion of the Principles and Practice of Engineering exam, which measures an individual’s academic and practical knowledge of technical engineering. Jason Atencio, PE, Structural Engineer, recently earned his professional engineering licensure. A University of Alabama graduate with both a Bachelor of Science in Civil Engineering and Bachelor of Science in Construction Engineering, Jason works in SSOE’s Birmingham, Alabama office. He specializes in structural design and analysis, supporting the firm’s automotive manufacturing facilities operations with his more than 5 years of experience. Joel Herder, PE, Process Engineer, recently earned his professional engineering licensure. 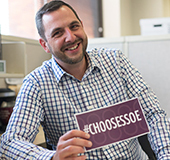 A Western Michigan University graduate with a Bachelor of Science in Mechanical Engineering, Joel works in SSOE’s Kalamazoo, Michigan office. He specializes in process and packaging design development, supporting the firm’s food and consumer products division with his more than 10 years of experience. Bradley Imm, PE, Mechanical Engineer, recently earned his professional engineering licensure. A Trine University graduate with a Bachelor of Science in Mechanical Engineering, Brad works in SSOE’s Lima, Ohio office. He specializes in the design and specification of HVAC and pumping systems, supporting the firm’s food and consumer products division with his more than 20 years of experience. David S. Johnson, PE, Mechanical Engineer, recently earned his professional engineering licensure. A Miami University and Ohio State University graduate with a Bachelor of Science in Mechanical Engineering and Master of Architecture, David works in SSOE’s Toledo, Ohio office. He specializes in project management and supports the firm’s automotive manufacturing facilities operations with his more than 5 years of experience. Brian Moon, PE, MSEMT, Structural Engineer, recently earned his professional engineering licensure. A Tennessee Technical University graduate with a Bachelor of Science in Civil Engineering, Brian works in SSOE’s Nashville, Tennessee office. He specializes in tower structural and mount analysis, supporting the firm’s automotive manufacturing facilities operations with his more than 5 years of experience. Conrad Miller, PE, Mechanical Engineer, recently earned his professional engineering licensure. A University of Toledo graduate with a Bachelor of Science in Mechanical Engineering, Conrad works in SSOE’s Toledo, Ohio office. 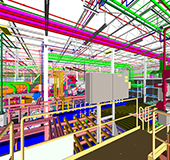 He specializes in designing mechanical piping and HVAC systems for automotive facilities, supporting the firm’s construction management division with his more than 5 years of experience. Wade Rockstrom, PE, Mechanical Engineer, recently earned his professional engineering licensure. 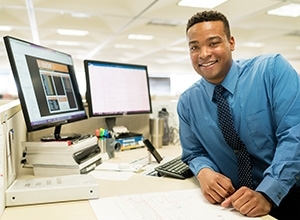 An Eastern Washington University graduate with a Bachelor of Science in Mechanical Engineering, Wade works in SSOE’s Santa Clara, California office. He specializes in industrial controls and mechanical design-build, supporting the firm’s high-tech / advanced technology operations with his nearly 5 years of experience. A PMP® certification, awarded by the Project Management Institute (PMI), indicates that the individual possesses the knowledge and skill necessary to lead and direct project teams, and deliver project results within the constraints of schedule, budget, and resources. 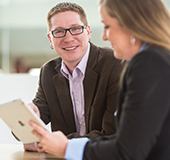 Sam Thurber, PMP, Senior Project Manager, recently received his PMP certification. A University of Toledo graduate with a Bachelor of Science in Electrical Engineering, Sam works in SSOE’s Toledo, Ohio office. He specializes in appropriation development, project implementation, and start-up, supporting the firm’s food and consumer products division with his nearly 30 years of experience. 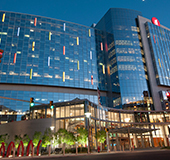 To receive an Occupational Safety and Health Administration (OSHA) 10-Hour Construction Industry certification, each recipient must complete the OSHA 10-Hour Construction Industry Outreach Training Program, which is intended to provide an entry-level construction worker with general awareness on recognizing and preventing hazards on a construction site. SSOE requires the OSHA 10-hour certification for all technical employees. Raza Ansari, EI, Assistant Project Manager, recently earned his OSHA 10-hour Construction Industry certification. 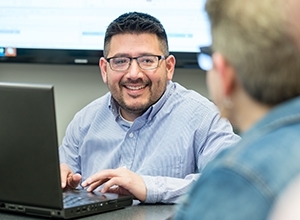 A University of Toronto graduate with a Bachelor of Applied Science and Engineering in Electrical Engineering, Raza works in SSOE’s Toledo, Ohio office. He specializes in project execution analysis and vendor / subcontractor coordination, supporting the firm’s automotive manufacturing facilities operations with his more than 5 years of experience. David Shields, Controls Engineering, recently earned his OSHA 10-hour Construction Industry certification. A University of Toledo graduate with a Bachelor of Science in Electrical Engineering Technology, David works in SSOE’s Toledo, Ohio office. He specializes in process improvements and equipment maintenance / repair, supporting the firm’s food and consumer products division with his more than 10 years of experience. John Somdecerff, Instrumentation and Controls Engineering, recently earned his OSHA 10-hour Construction Industry certification. A University of Qatar graduate with a Bachelor of Science in Mechanical Engineering, John works in SSOE’s Portland, Oregon office. He specializes in configuring controls systems, developing P&IDs, and implementing energy-efficient improvements, and supports the firm’s high-tech / advanced technology division with his more than 15 years of experience.